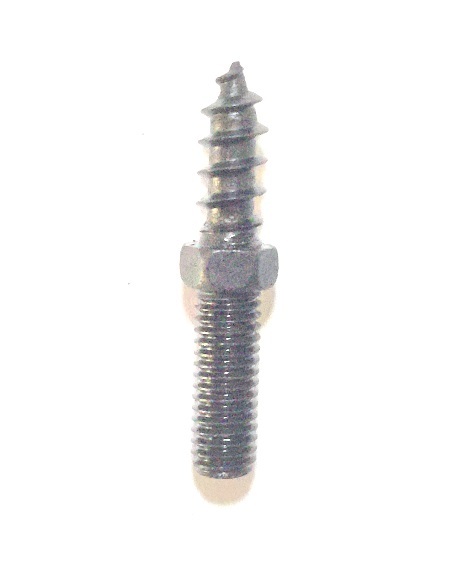 This screw is 1" (25mm) long with 1/2" (12.7mm) of machine screw thread on one end, and 3/8" (9.5mm) of lag screw thread on the other end. There is an integral hexagonal nut for easy unscrewing with a small wrench. Available in 8/32 or 10/32 thread. This item was added to our catalog on Sunday 07 April, 2019.